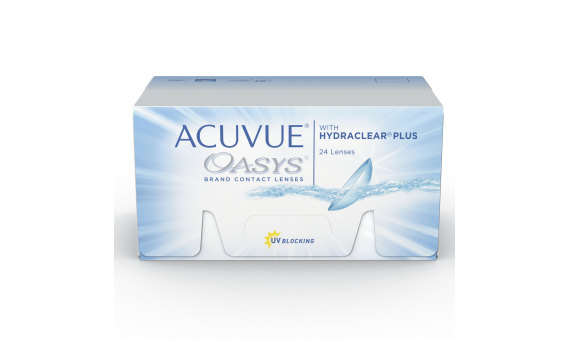 ACUVUE OASYS® contact lenses with HYDRACLEAR® Plus provide a truly comfortable contact lens wearing experience. These lenses have been designed to keep your eyes moist and comfortable all day. You might forget you're wearing a lens at all. ACUVUE OASYS® contact lenses block more than 99% of UVB and 95% of UVA-1 rays - the highest levels you'll find on the market today. 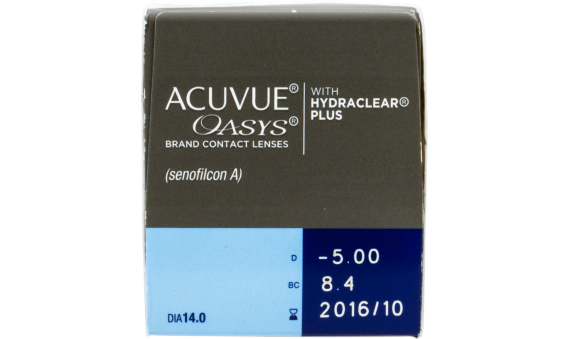 And with dryness-reducing HYDRACLEAR® Plus technology, these are the contact lenses for anyone looking to put glasses and rewetting drops behind them.